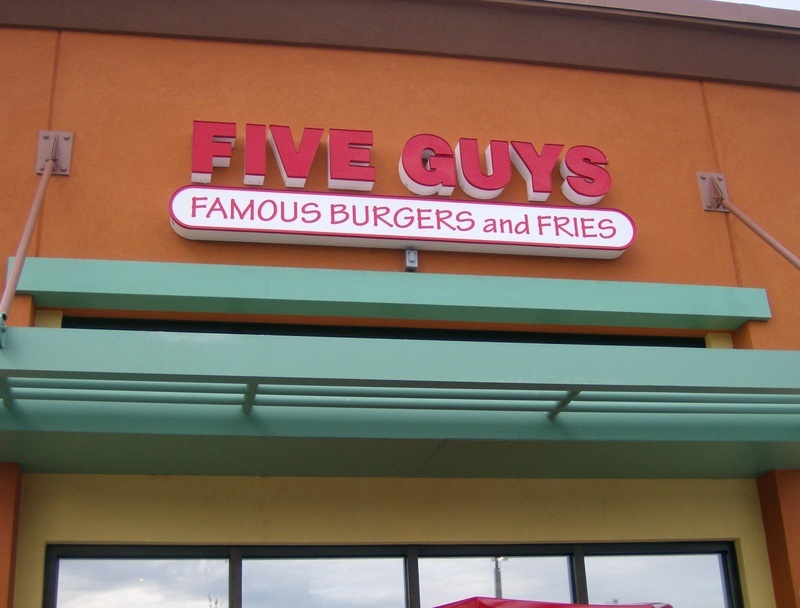 I don't have anything against corporate chain restaurants, I just find in general that we have the most interesting and unique experiences at local restaurants. 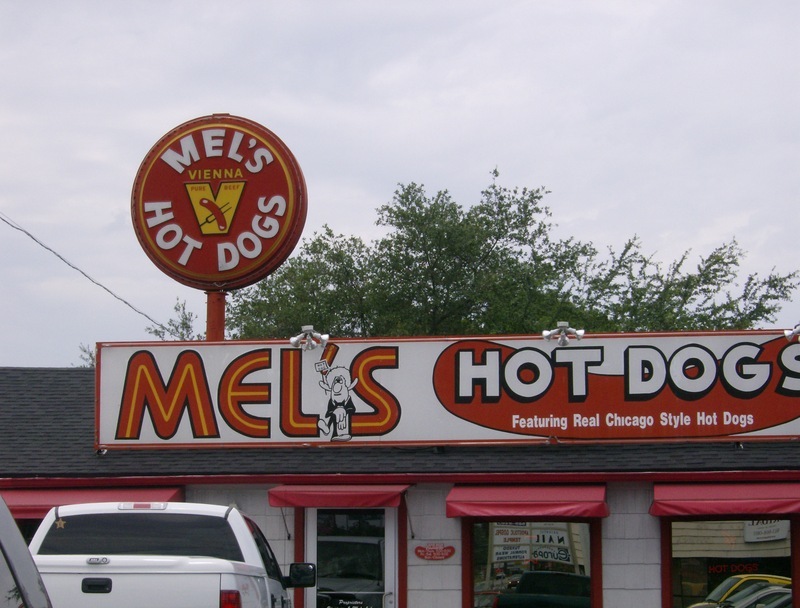 That's not to say that there aren't local places that turn out to be real duds or chains that feel local and are very well done. With this in mind, last weekend we headed over to the local Carrabba's Italian Grill for dinner. In the interest of full disclosure, a Carrabba's representative had contacted me a few weeks ago and asked if I'd be interested in a complimentary meal in return for a honest, no-strings-attached review of the experience. I accepted. When we arrived for dinner, the place was already pretty busy. We decided to sit at one of the counters that surround the open kitchen. This ended up being a good choice as we were treated to several samples, compliments of the kitchen, throughout our meal. We sat right next to the wood-burning oven and pizza prep station. The manager working the area was friendly and knowledgeable, which made up for the fact that our server was new and still learning the menu. At least she didn't lack enthusiasm. For our starter, we tried the antipasti platter of calamari, bruschetta and mozzarella. The bruschetta and mozzarella were both solid and the calamari was nicely done - lightly fried and not greasy. Moving on to our main course, I decided on the lobster ravioli and Traci ordered the chicken gratella, which was a grilled chicken breast with herbs and oil. Her sides were mashed potatoes and grilled asparagus. My lobster ravioli was a good choice, as it's hard to go wrong with lobster and pasta. This being said, I would have enjoyed a little kick to the sauce, although I realize this might have overwhelmed the lobster flavor. Traci enjoyed her chicken, which had a nice grilled taste and was juicy. She called her mashed potatoes delicious, which I can vouch for after stealing a few bites. The asparagus was solid. Seemingly taking a page out of the Seasons 52 play book (a Darden chain that doesn't seem like a chain by the way), Carrabba's desserts are available in "dessert shot glasses" for lack of a better term. "Full-sized" desserts are also available. We went with samplers ("shots"?) of cannoli and fudge brownie. I'm always a sucker for a good cannoli. Needless to say, we had to be rolled out of the place. Overall, we had a good experience. Sitting up at the chef counter certainly added to the meal and I think the counter works well for couples or diners eating solo. There's also a nice bar area. In comparing Carrabba's to other Italian chains, it's obviously a cut above Olive Garden in food and atmosphere, but you pay for it. I've only eaten once at Romano's Macaroni Grill, but enjoyed Carrabba's more. I am partial to the Maggiano's Little Italy chain. 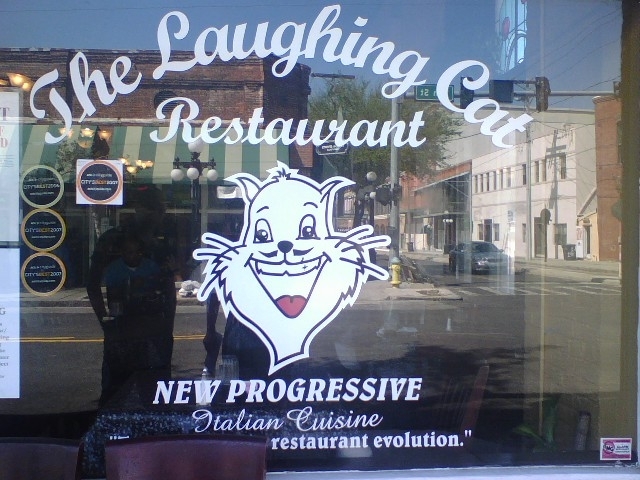 We had several very good meals at the Tampa location. Drop me a line if you've eaten at the Gainesville Carrabba's - what did you think? In related news, I haven't had a chance to try it yet, but Francesca's Trattoria is now open. 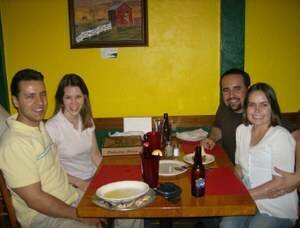 This past Thursday, we had dinner at Leonardo's 706 with Traci's former co-worker and his wife. This co-worker is a UF grad who likes to hit Leonardo's 706 whenever he is in town. We hadn't eaten at Leonardo's 706 before, but already had an unmemorable experience at Leonardo's By The Slice. I liked the vibe and history of Leonardo's 706, but thought the food was a bit expensive for what we got. Our check for the two of us (with two entrees, a shared appetizer for the table and two soft drinks) came to around $35. 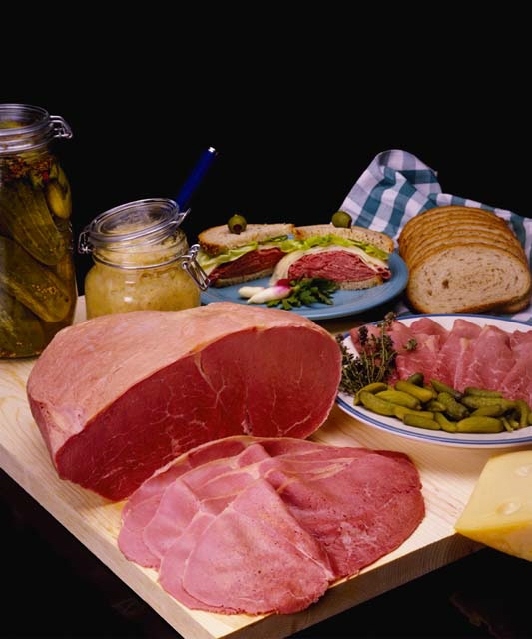 The 706 menu is a mix of personal pizzas, salads, pastas and seafood dishes. I ordered a bbq chicken pizza and Traci ordered a lotta tomata pizza. The table also split an order of a dozen garlic rolls. The rolls were very tasty, but then most food tastes great drenched in garlic butter. Monday and Thursday are the live jazz nights at Leonardo's 706, and the music set a nice backdrop for our meal. Our table was in the main dining room, but right next to the bar/lounge area, which worked well, as we were able to enjoy the music, but still carry on a conversation throughout the meal. My pizza certainly tasted fresh and the presentation was nice, but the mix of flavors didn't do that much for me. I honestly may have enjoyed the leftovers of my pizza more the next day when I munched on it cold. Overall, we had a good experience at Leonardo's, but given the restaurant's pricing (higher prices generally equal higher expectations in food, service, etc for me) and how excited Traci's former co-worker was about the place, I was hoping for more. The live jazz we may check out again sometime. 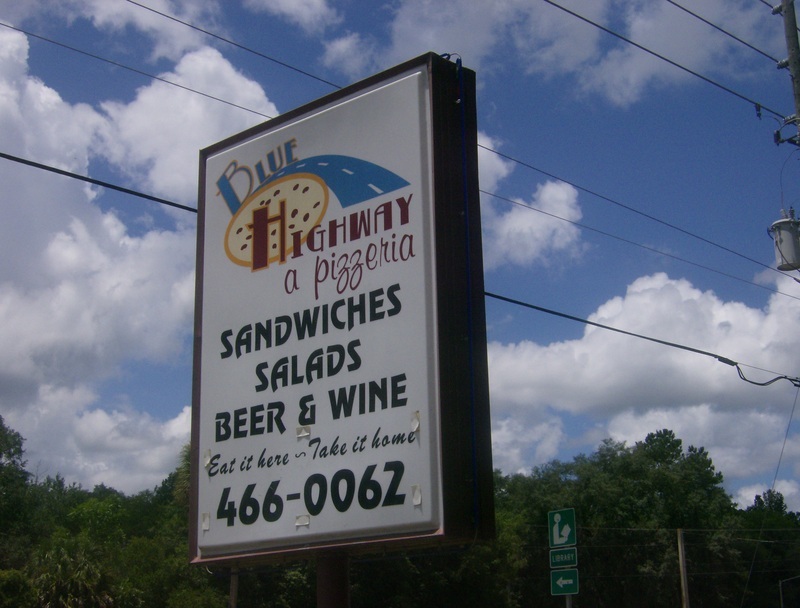 On Saturday afternoon, we wanted to explore a little and decided on Blue Highway Pizzeria on U.S. Highway 441 in Micanopy for lunch. 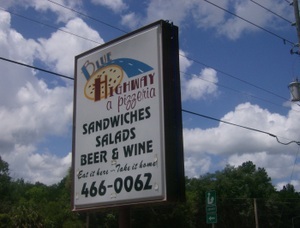 We were in the mood for pizza and Blue Highway was one of the restaurants that Gainesville.com had written positively about. 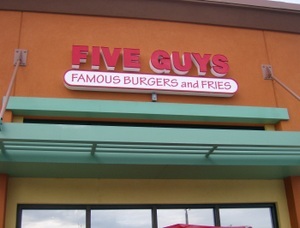 What we found was our kind of place. Blue Highway has a funky, relaxing atmosphere inside and the focus is definitely on the pizza. Our server was friendly and gave us some suggestions. Traci and I decided to split a meatball and roasted garlic pizza (enough for two unless you're ravenously hungry). We also each had side salads to start that were much better than a typical pizzeria salad. Our pizza was simply delicious. The meatballs, the crispy crust, the roasted garlic slices, the cheese, everything mixed together pretty darn perfectly. 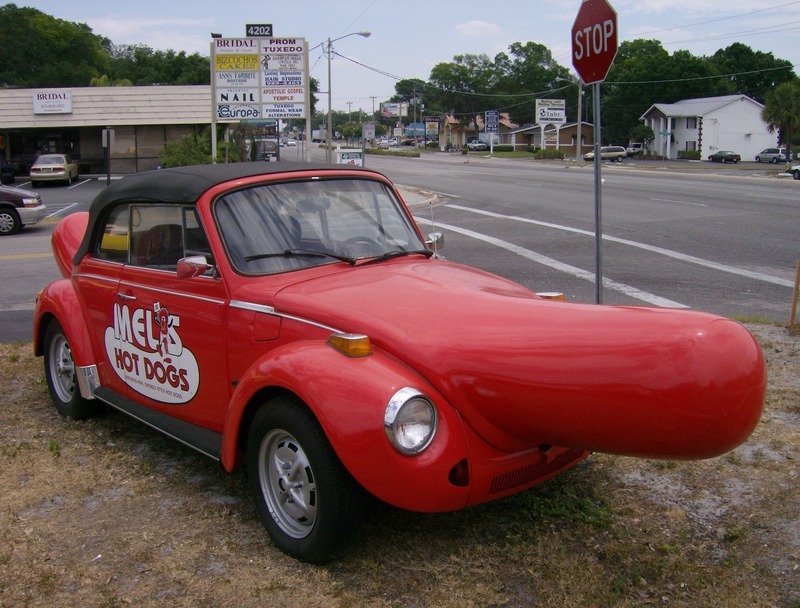 Before our visit to Blue Highway, I thought Satchel's had the best pizza in the area, but now I'm not so sure. We'll definitely be visiting Blue Highway again and I look forward to trying out some of the other pizzas on their menu. After lunch, we walked around some of the antique shops in Micanopy. I don't remember the name of the little deli/restaurant, but we also stopped into one place along the main strip and had some ice-cream (just two bucks for "one scoop" and one scoop is really like three scoops). Bottom-line: Leonardo's 706 was an enjoyable experience , but the food didn't knock my socks off for the price. 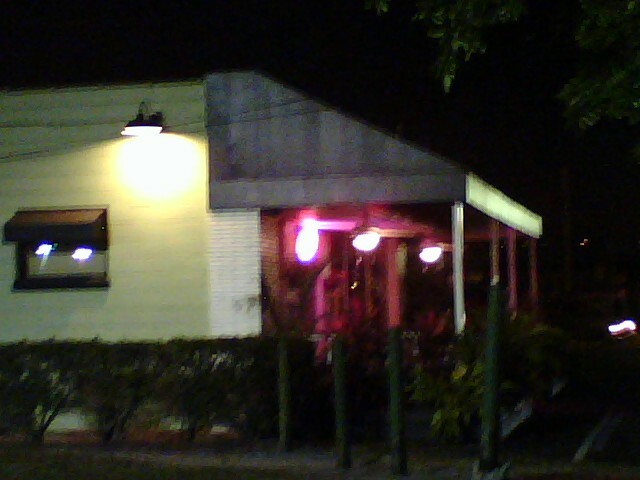 Blue Highway Pizzeria, on the other hand, was a very pleasant surprise with delicious pizza at a more reasonable price. A great excuse to visit Micanopy and check out the antique shops afterwards.